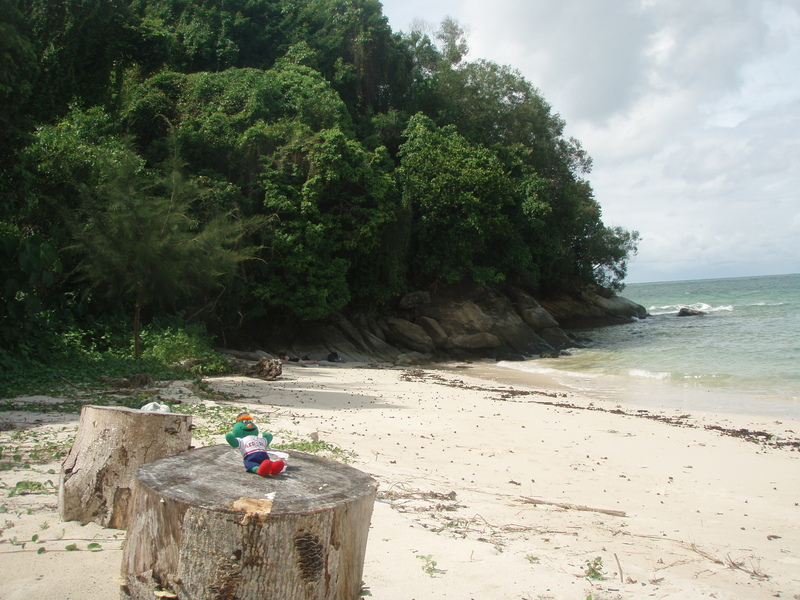 Today Wally is hanging out on Mamutik Island (off of Kota Kinabalu, Sabah in Borneo). The islands off the coast are filled with reefs that are excellent for diving. 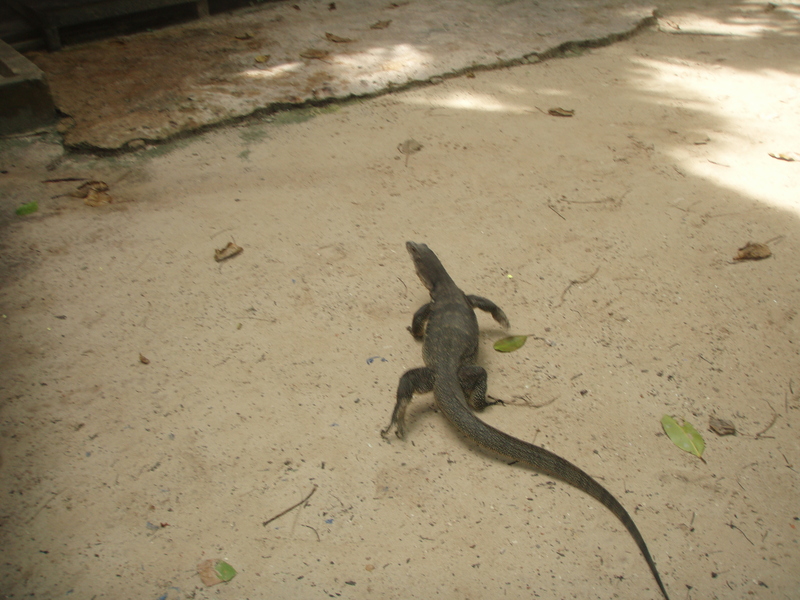 It’s rainy season right now and the visibility can be bad – but Wally doesn’t mind because it’s a sunny day on land. The large komodo dragon that just came out of the forest on the other hand, has Wally a little concerned – so back in the bag he’ll go.